• Crown moulding for ceilings. • Panel moulding for a southern colonial look. • Chair rail moulding, which is very distinctive on walls. • Apron moulding for window sills. 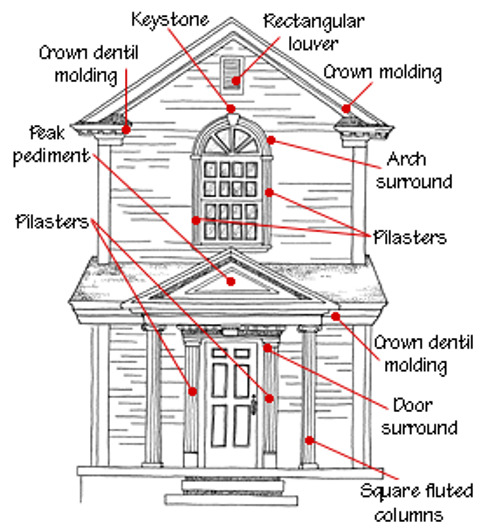 • Entablature moulding for above doorways. Decorative moulding comes in a dizzying array of styles. Interior designers recommend taking home samples, just as you would take paint swatches, to test out ideas. Choosing the right moulding for the look you want is the toughest part of the job. Installation is a lot easier and most people with DIY experience have no problems. So if you want to add some magic to your walls, consider decorative moulding. It can turn a room from standard to stunning.